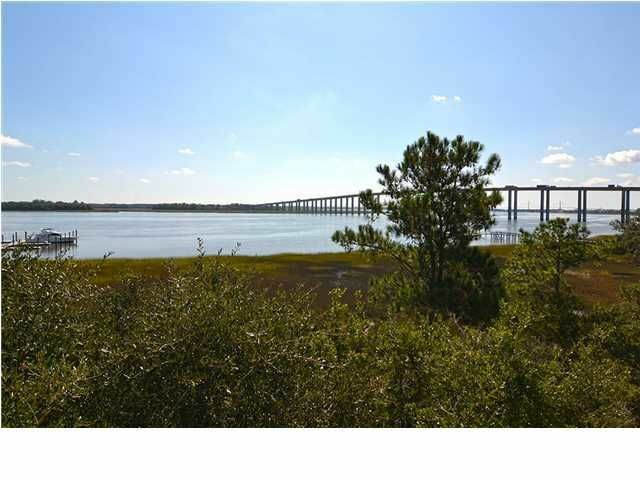 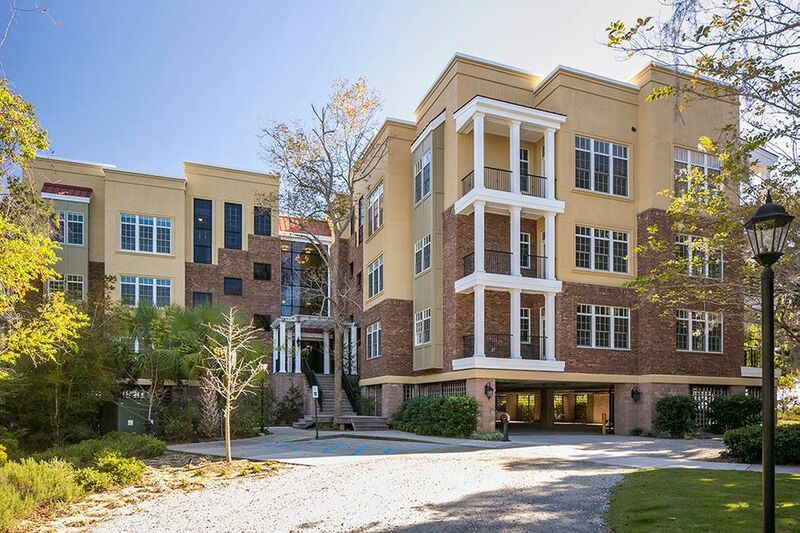 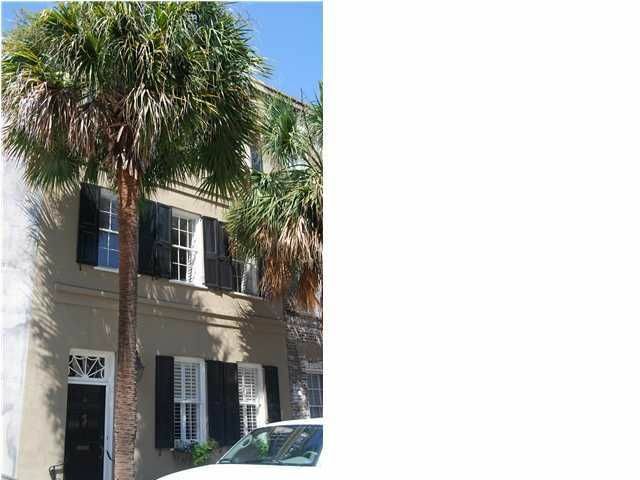 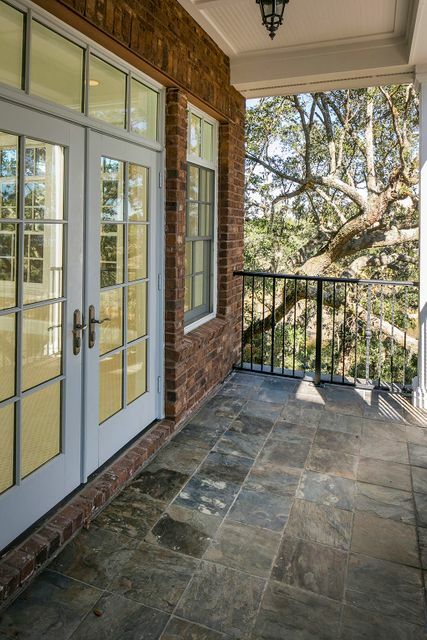 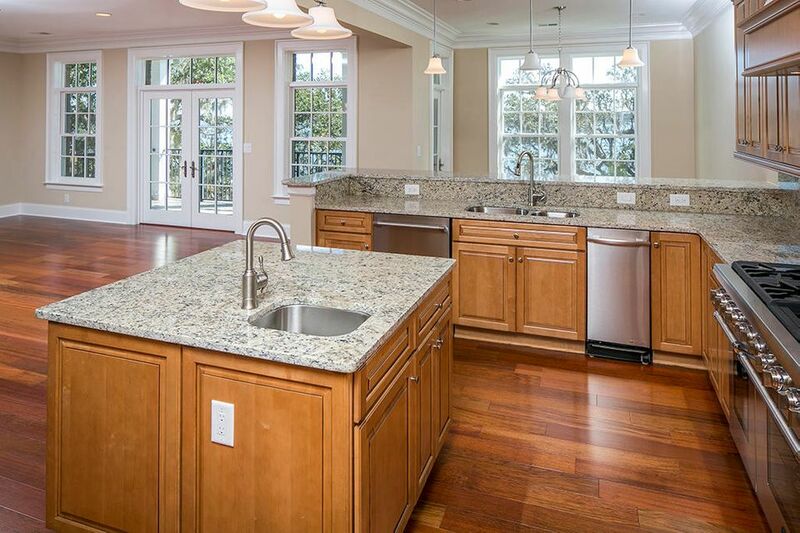 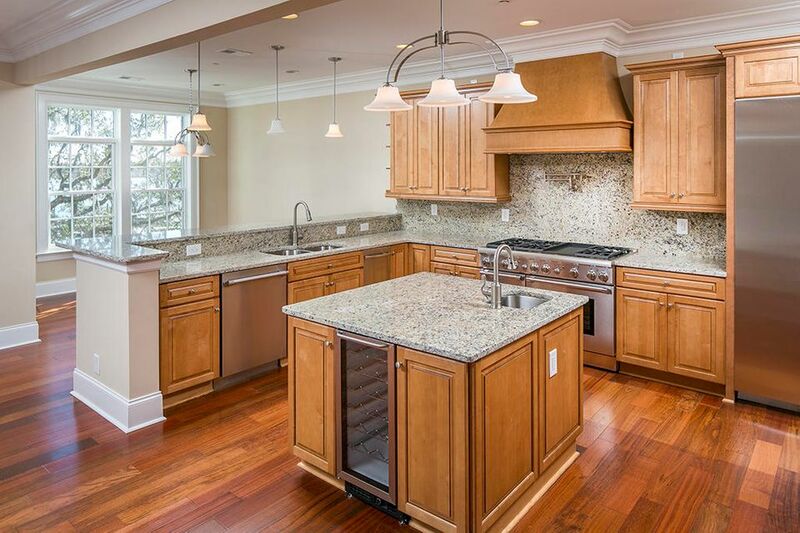 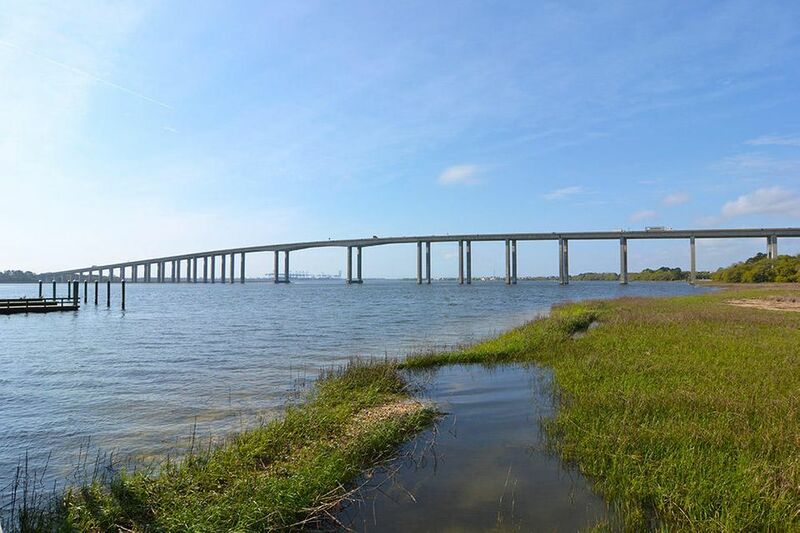 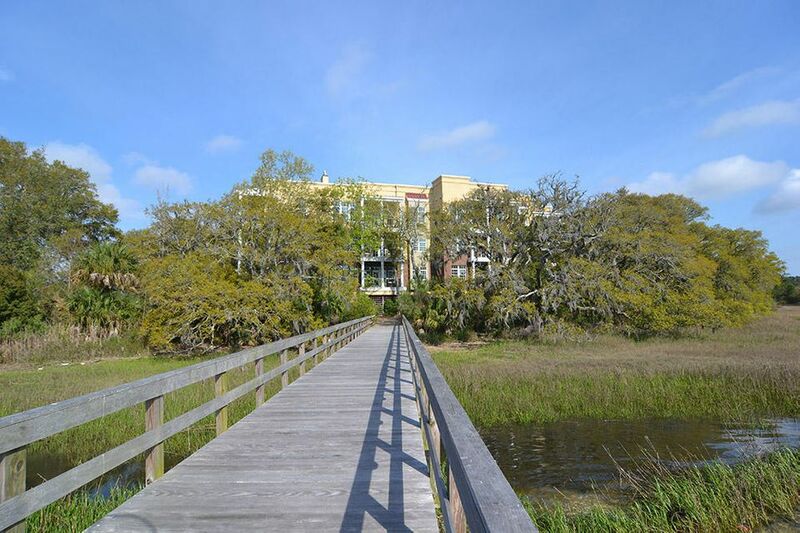 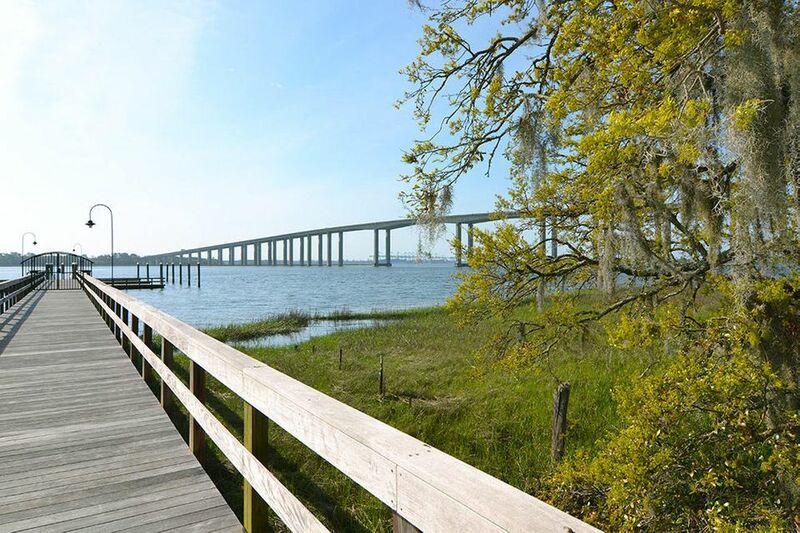 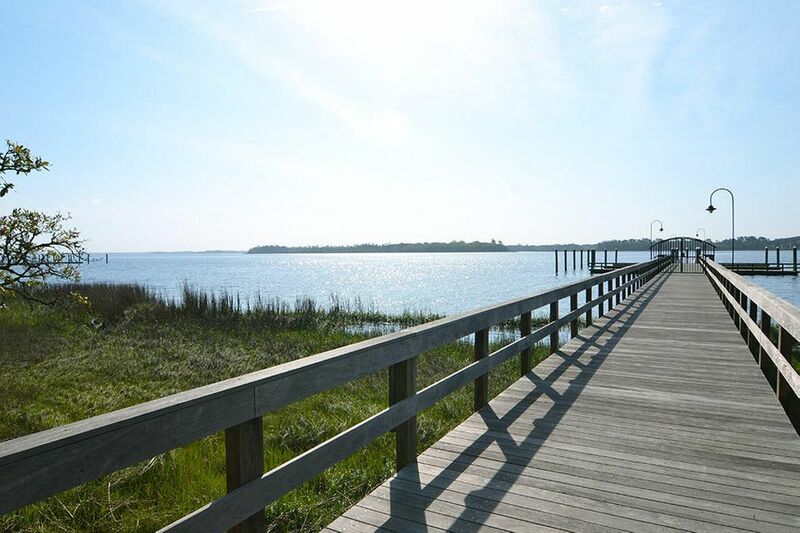 Luxury condominiums with breathtaking views of the Wando River and marsh and a private deepwater 50-foot boat slip. 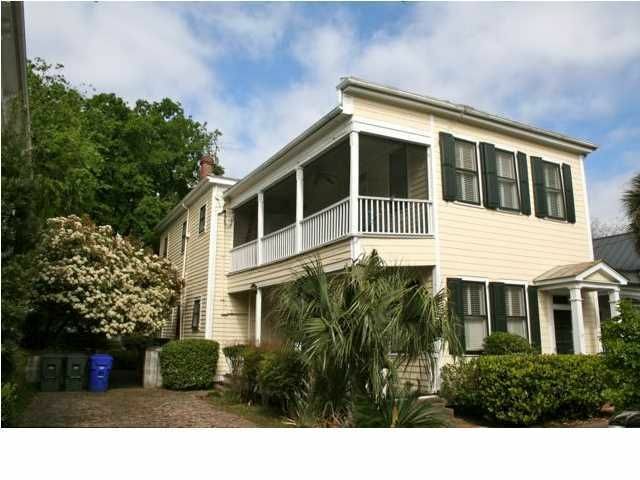 Each unit is deeded a boat slip. 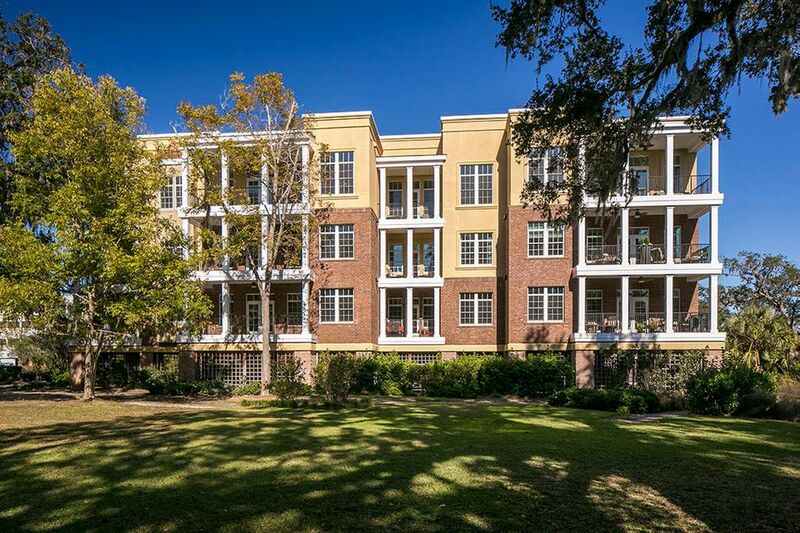 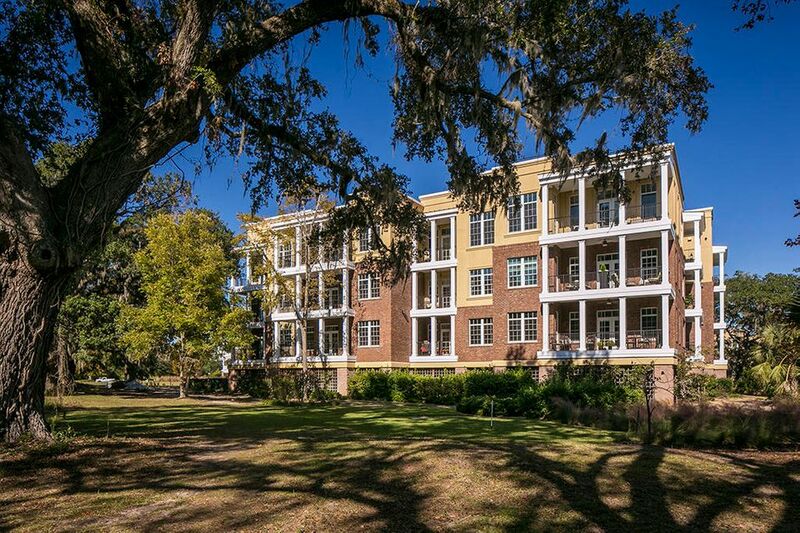 The Oaks at Riverside South are part of the Downtown regime and are a short walk to the shops of Daniel Island's downtown. 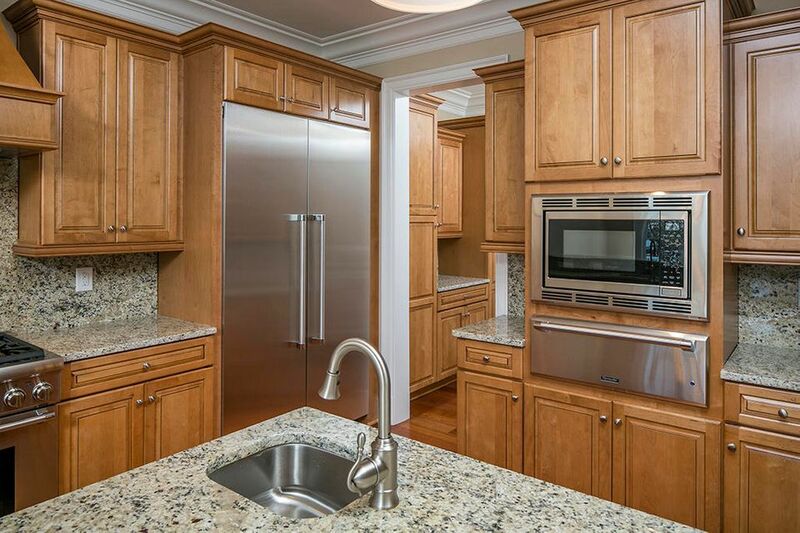 Gourmet kitchen features a designer appliance package, granite countertops and backsplash and a generous walk-in pantry. 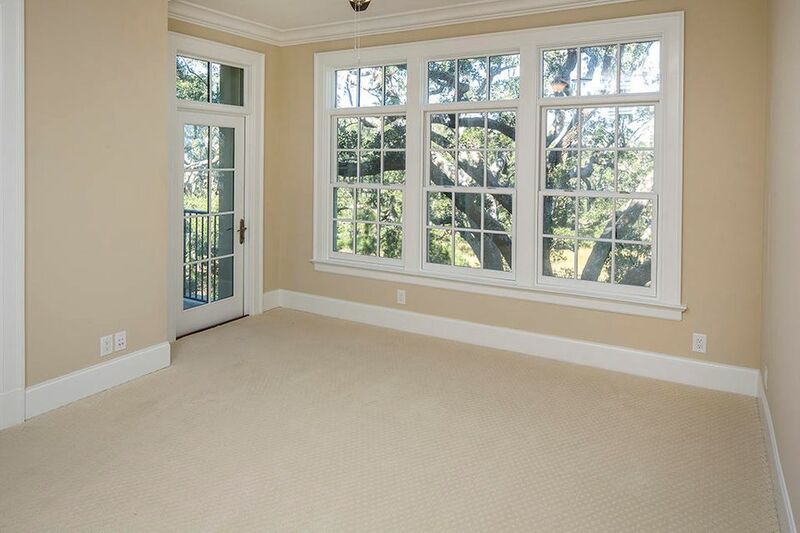 The spacious family room and eat-in-kitchen both have access to a porch with a stunning view. 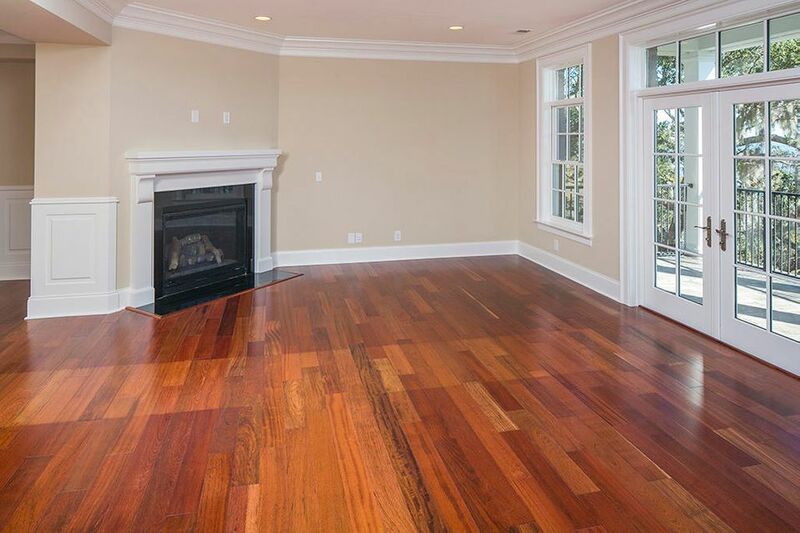 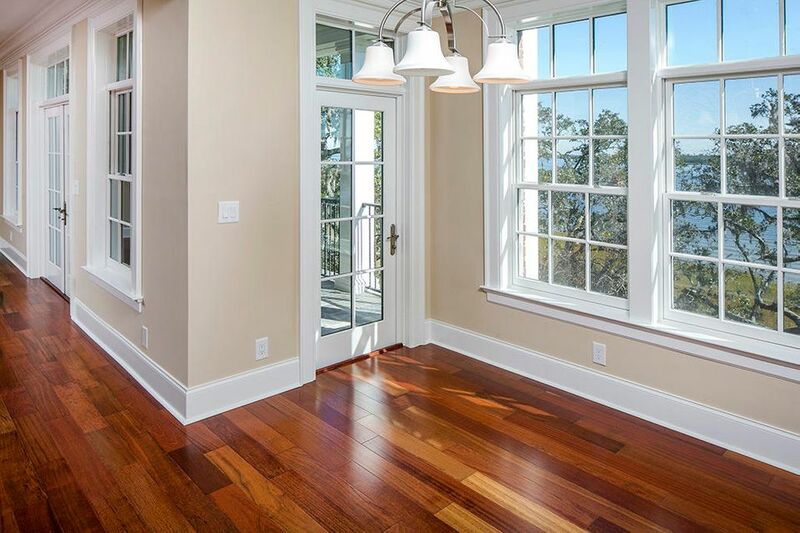 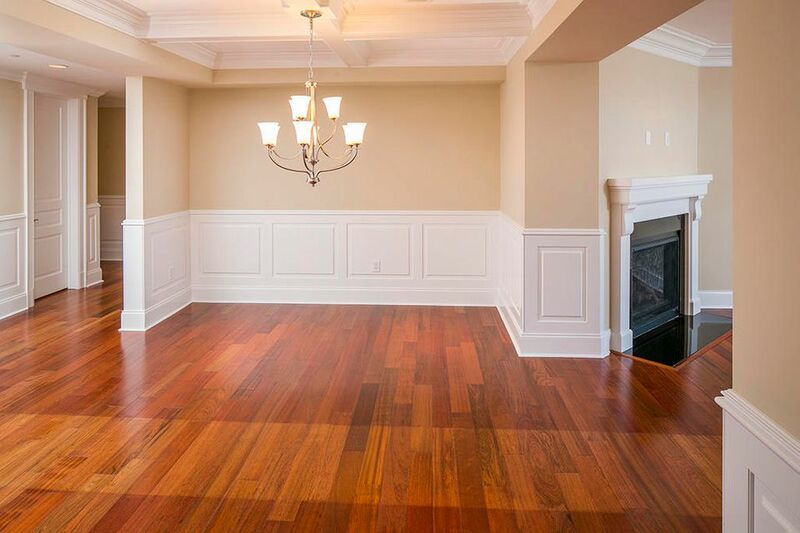 Hardwood flooring throughout the first floor with the exception of carpet in the master bedroom & secondary bedrooms and ceramic tile flooring in the secondary baths and laundry room. 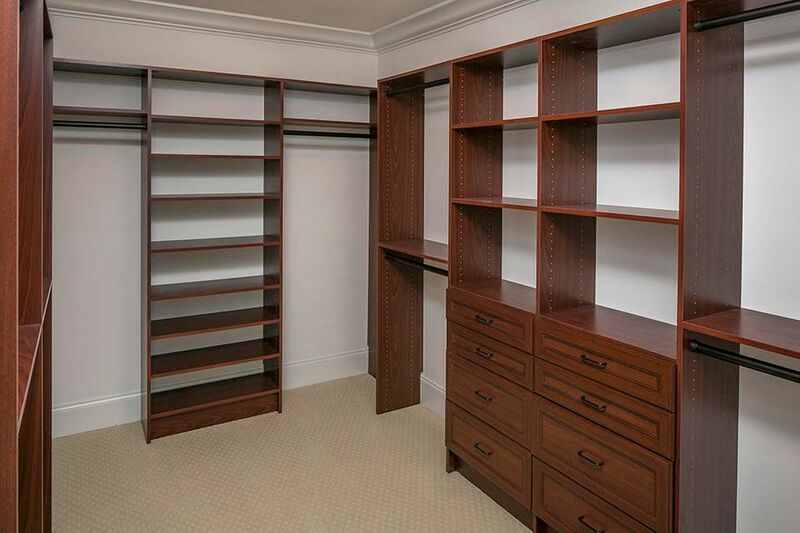 Master suite boasts a walk-in closet and private piazza with magnificent far-reaching views. 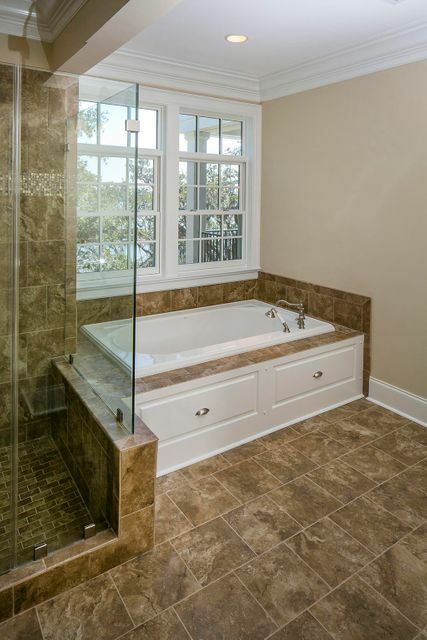 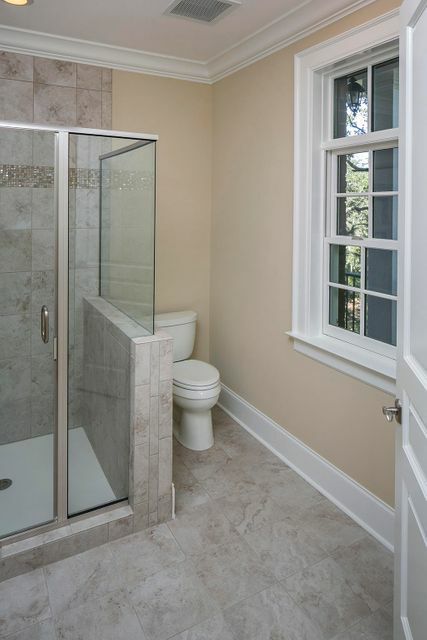 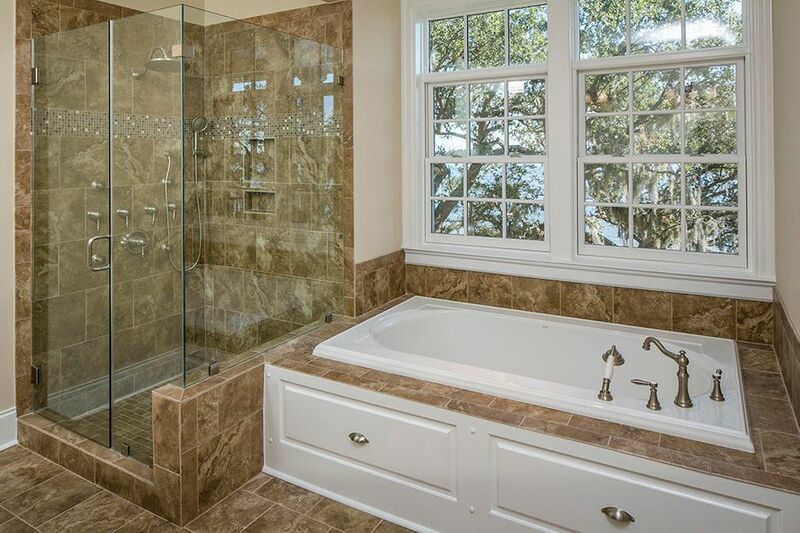 Luxurious marble master bath includes a beautiful double sink vanity, custom wood cabinetry, a bathtub with air jets and a glass enclosed shower. 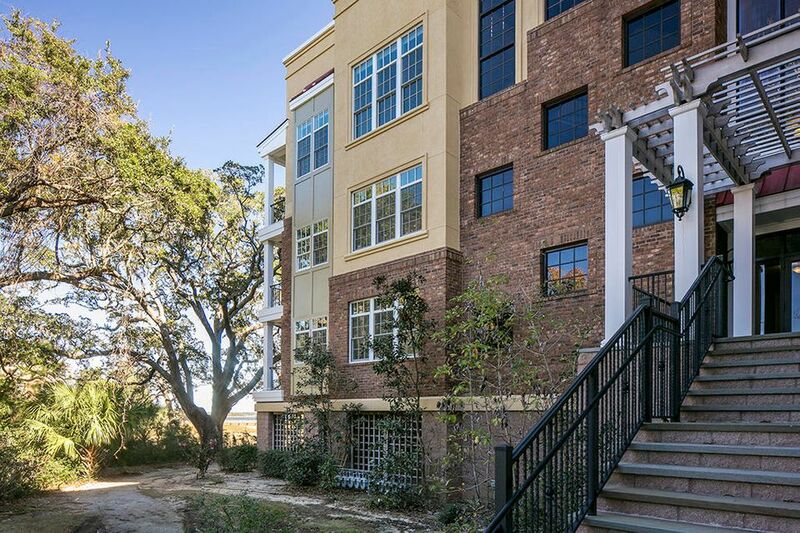 On the ground floor are two secured parking spaces and an elevator to take you to your one level residence. 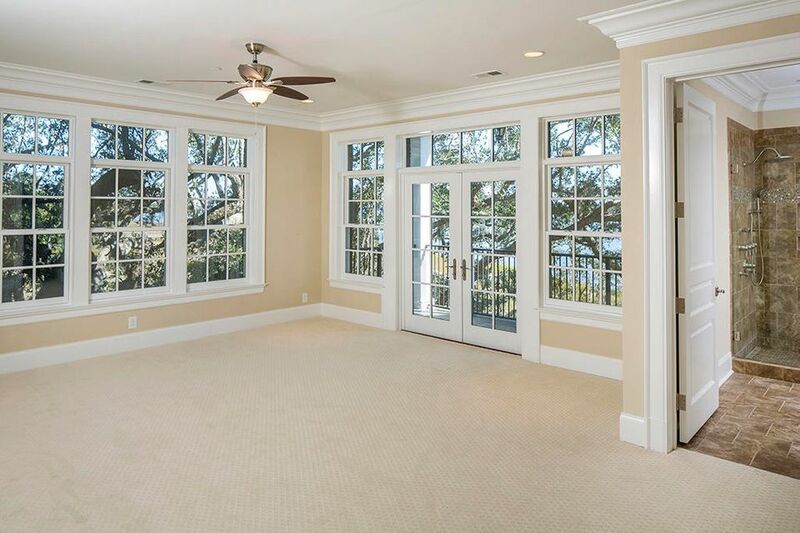 Enjoy incredible unparalleled views on the shared roof top; perfect for entertaining.